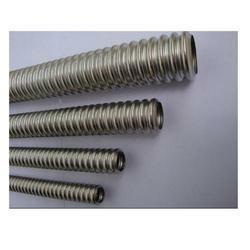 We are a leading Manufacturer of corrugated stainless steel tubes from Umbergaon, India. With the support of our experts we manufacture a wide variety of corrugated stainless steel tubes. Our stainless steel corrugated pipes are extensively used to supply natural gas and propane in residential, commercial and industrial structures. We provide these in a wide variety of sizes and models as per the exact requirements of the clients. Length: As per Customer requirement, Maximum upto 22 Meter Long. grits like at 80, 120, 240, 320, 400, 600 grit and mirror polished.